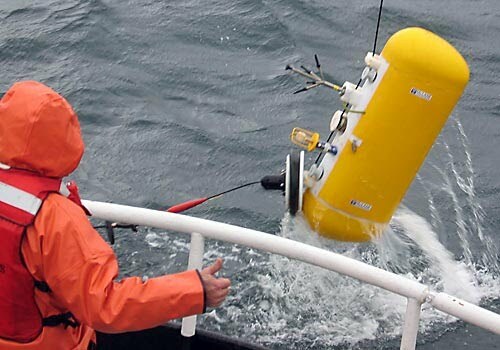 Developed by Mike Gregg, this towed system measures ocean properties in a sawtooth pattern behind a ship. 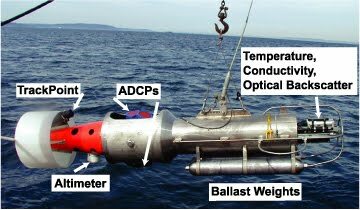 It carries a large suite of sensors including up and down-looking ADCP's, redundant temperature and salinity sensors, and a microstructure package. An altimeter allows us to profile close to the bottom without running into it.